Kickstarter fulfilment is a marathon, not a sprint. Sometimes, it’s also a relay race, when the original project creator has to hand over much of the process to someone else. 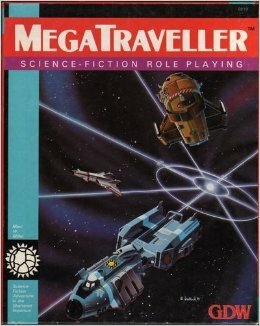 In the tabletop RPG sphere, for instance, there was the Dwimmermount Kickstarter, in which project owner James Maliszewski quite understandably found himself overwhelmed by his father’s terminal illness and had to hand over the work to his publishers at Autarch to finish (though, less excusably, only after they had to go to a really undue level of effort to get in touch with him to find out what was going on). In the case of the Call of Cthulhu 7th Edition Kickstarter, the Kickstarter was begun and finished by Chaosium… but along the way Chaosium underwent an eldritch transformation. The overall effect, in fact, was much like the central identity switch of Lovecraft’s The Case of Charles Dexter Ward. Gone was the familiar Chaosium – eccentric, set in its ways, slightly ineffectual, but with its heart in the right place, rather like Charles Dexter Ward – and in its place was a new Chaosium, stronger, more confident, with the power of old magic behind it, just like Joseph Curwen. And just like in the story, the old Chaosium’s very success destroyed it, leaving the new Chaosium to take its place. So complex is the saga of this Kickstarter that, for the first time, I am actually going to split a Kickstopper article in half. 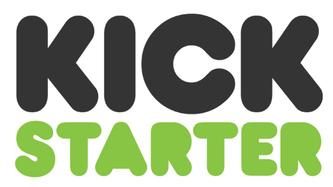 In this first part, I will cover the exciting Kickstarter fundraising process and the devastating delivery process, picking apart just what went wrong and just how everything went so right in the end. In part 2, I will deliver the actual swag I received. Well, this is interesting. Folks, for the first time I am going to do a Kickstarter article on a project which successfully funded and where I received nothing save a refund. Even more interestingly, this is a project which seems, for the most part, to be in the process of delivering right on time. Specifically, this is the story of how Luke Crane’s schtick started wearing thin, and how he responded to questioning of that with an unrequested refund. Typically when I do these things, I have received some stuff to review. Obviously, I have received nothing, so nothing will get reviewed. That said, as always I like to give a caveat that in any discussion of a Kickstarter I can only speak with authority about my own personal experience of the process. That goes double here, obviously, because Luke Crane didn’t fall out with all the backers in the same way he fell out with me and some others.